After fully refurbishing and fixing the MSR-904A receiver, and some months of service, another look at the AM detector. It is working fine, but at times, is seems to have some microphonic resonance and random shifts of level. Nothing that prevents use of the machine, but a small flaw worth correcting. Locating the faulty assembly – pretty obvious when knocking at the A3B5 assembly. This takes in a sample of the 250 MHz IF signal, and performs the AM demodulation, and also generates the AGC signal. These are the inner workings, the signal is first attenuated, about 20 dB, then amplified, about 25 dB, using an Avantek GPD-202. The signal is then futher amplified via a tuned transistor amplifier. 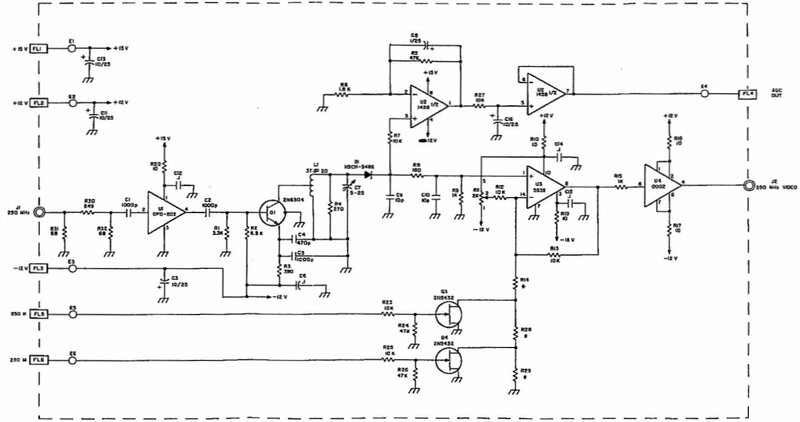 Demodulation is performed by a zero-bias HP Schottky diode, a HSCH-3486. This was state of the art at the time, and still, there aren’t many diodes around that are any better. Turns out that this diode must have suffered damage earlier, and it was fixed with a drop of epoxy! The HSMS-2850 and HSCH-3486 use the same technology – the HSMS-2850 is more or less a SMD version of the earlier HSCH-2486 (glass package, similar to DO-35). Glad I didn’t have to buy at USD 20 each, that’s what some vendors are asking for. Finally, a quick sensitivity and microphonic test – no issues at all. 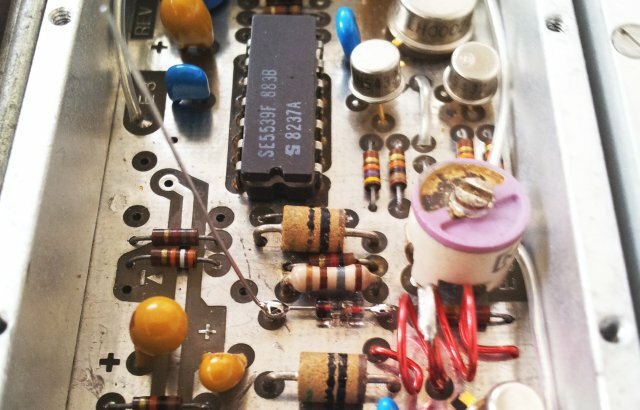 Quite interestingly, someone must have fixed this assembly before – note the ECG opamp, 1991 datecode (it is a LM1458 replacement; for the AGC circuit). 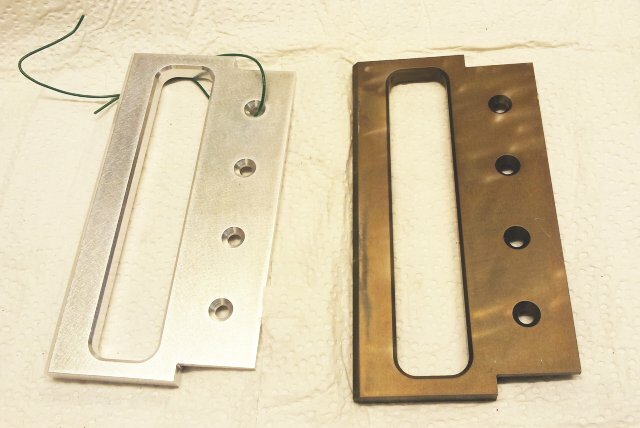 Quite a few good tutorials exist for anodizing of aluminum, and pretty decent results can be achieved in any home shop equipped with a a sink and a few chemicals. 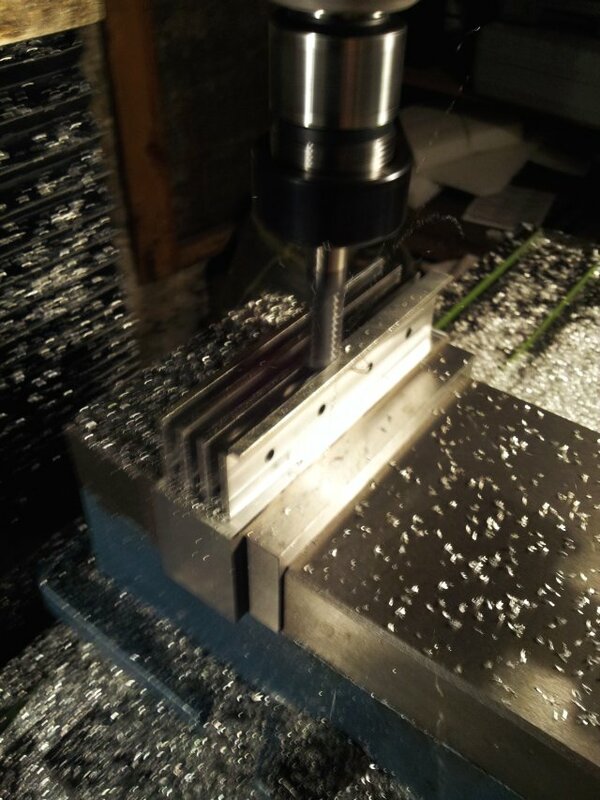 For good results, with all the basic items mastered, the most critical item is the aluminum alloy. 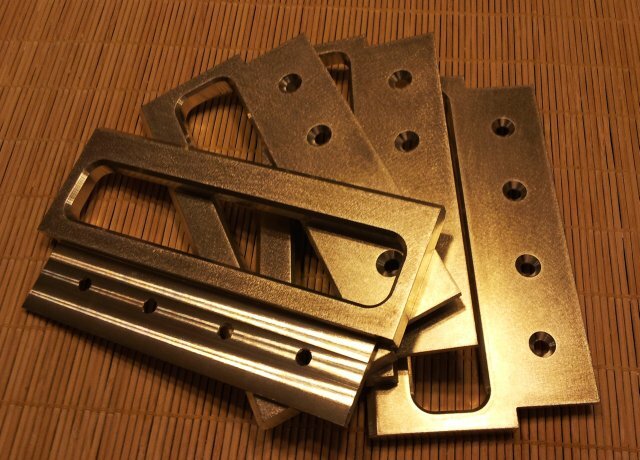 Generally speaking, any type of pure aluminum, and Al-Mg alloys are very much suitable for the anodization process. Zn, Si, Mn (and to some extend, Cu containing) alloys don’t work well. 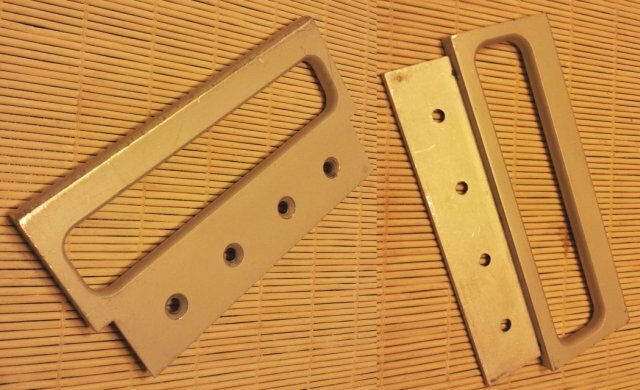 The handles for the Micro-Tel MSR-904A receiver were machined from 7075 alloy, because of its strenght, and availability. 7075 has about 6% Zn, and 1.5% Cu, both of these elements are known to cause trouble when anodized. However, one can still try. Step (1) – throughly clean/degrease the workpiece: first, I use methylated spirits, then, hot water and detergent, then rinse with water. Wear clean gloves. Step (2) – etch with about 10% caustic soda. Room temperature. As you can see, the part will turn black. This is typical for certain alloys. Step (3) – use about 5% nitric acid to remove the black layer. Dip for a few minutes only. There will be some faint grey residue which needs to be brushed of mechanically (use a very clean brush – otherwise, it will contaminate the surface). Had to repeat the caustic etch twice to get a uniform and shiny surface. 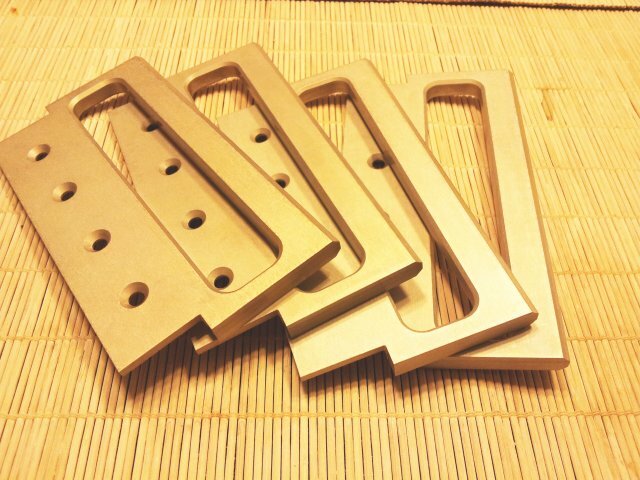 Step (4) – anodize. Mount the piece with heavy aluminum wire. For 7075 alloy, pure aluminum wire works. Alternatively, use thick titanium wire. Current needed is about 1.5-2.0 Amps per 100 cm2. I used 2 A, for the handle. As cathode, use a sheet of aluminum, lead, or titanium. I use just plain aluminum and it is working just fine. For the liquid, about 15-20% sulfuric acid (dilute 37% battery acid with destilled water 1:1 ratio). Keep at room temperature, cool with some ice (applied to the outside) if it heats up too much. Typical time needed is 30-60 minutes, depending on the temperature and layer thickness. Don’t let the acid heat up too much – the layer will stop growing. Step (5) – densify by boiling in distilled water. Needs to be really boiling, not just hot! 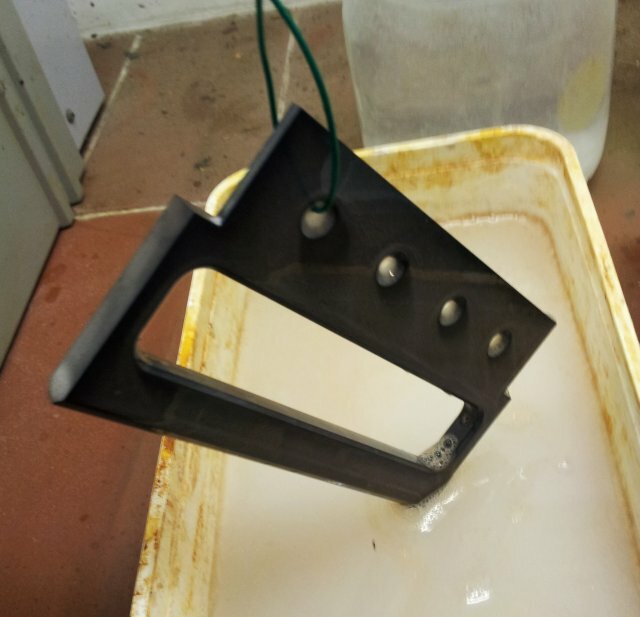 After the first attempt – everything looked fine after step 4, but the handles turned pretty dark after densification. Pretty much, a full failure. 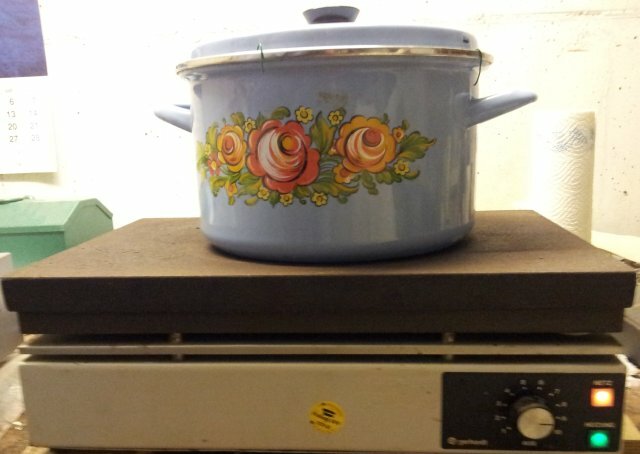 (1) Keeping the acid rather warm, about 30°C, and reduced anodizing time to 20 minutes. This will give a thinner layer. 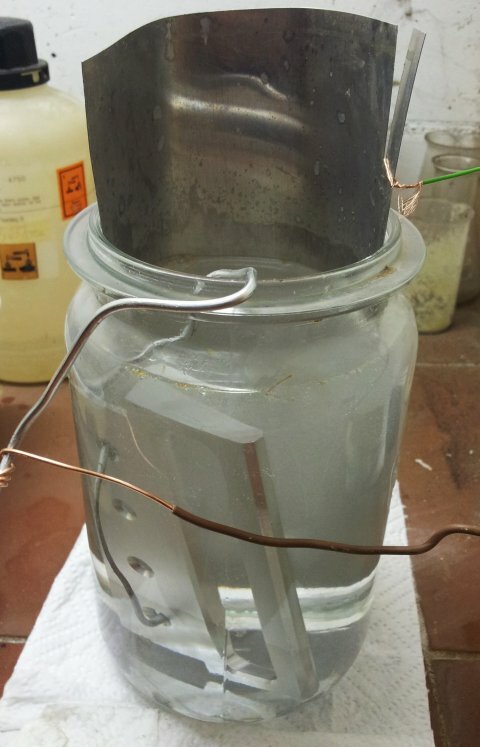 (2) Added a bit of ammonium acetate to the water used for densification. You may also add a very small amount of acetic acid. 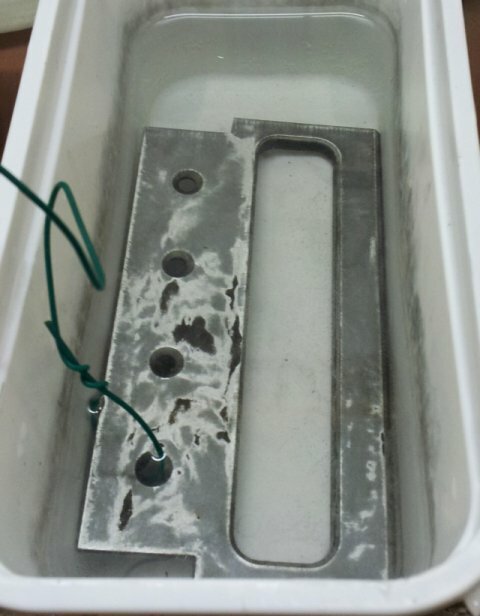 Keeping the bath slightly acidic prevents darkening during the densification process for Zn/Cu containing alloys. It’s not perfectly silvery color, but a slight yellow-orange color (like lightly colored wood). And the layer is certainly not very thick. But good enough to protect the 7075 alloy from forming corrosion spots over time. 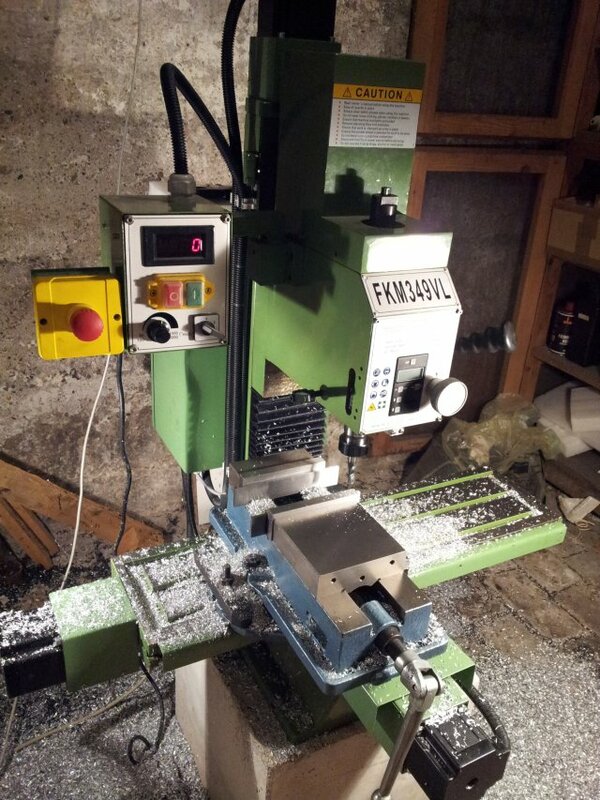 After quite some heavy work with the MSR-904A, we are close to completion. The last defect, supposedly last, was an issue with the 0-9 V internal tuning voltage – could not get it to change from 0-9 V even with all adjustments suggested by the manual, and looking at the schematic – no other way to adjust. There can be drifts of some resistors over time, but all checked and very much as spot-on is they can be. 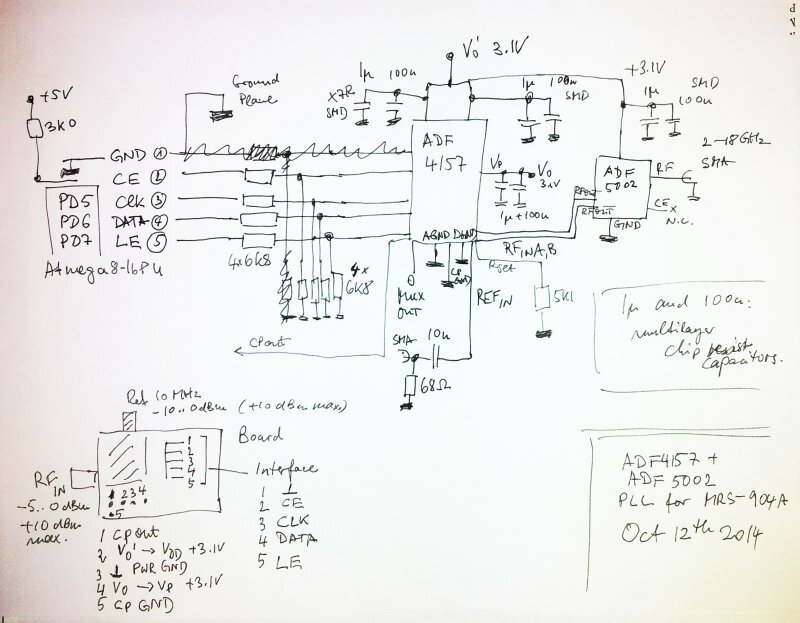 So, the issue comes from a part of the AFC circuit – there is some gain switching with a 4051 CMOS switch, and as it turns out, this was missing the -6 V supply voltage – causing a positive voltage at the output, which upset the tuning assembly, even with AFC disabled. The wire, not sure if it was broken when I received it – well, easy fix, but took me the best part of 2 hours to find it. 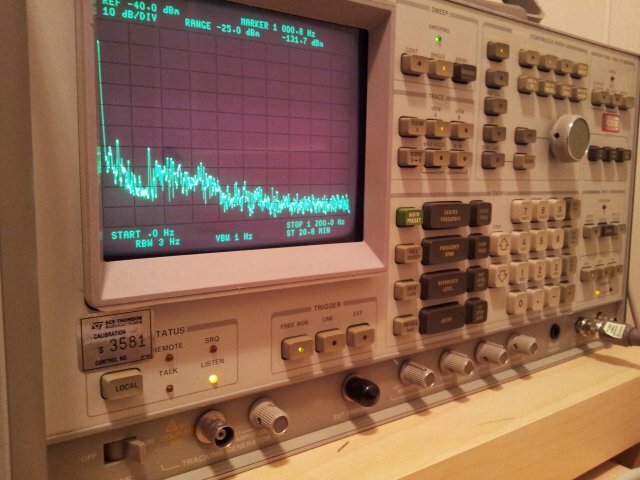 Finally, closed the lid, to keep my screwdrivers out, and did a quick check of sensitivity at about 1.7 GHz (because I have a really well calibrated 0.1-2.1 GHz source, a HP 8642B here already on the bench and did not want to carry around heavy microwave synthesizers…). Here, the result, which I would call pretty much satisfactory. Doesn’t get much better unless you cool down the receiver with some liquid helium. The machine, in all its beauty. (5) The ‘signal strength indicator’ is working (a nice LED bargraph), but the offset can’t be adjusted properly, and it moves eratically, at times. With the manual, the search defect (1) – marker that was so far difficult to track down has an end: the issue is one more of the CMOS switches, a 4052. Well, already the second of these switches which is bad. Maybe, I should just replace all the 4051, 4052 and 4053 switches of the units, as a matter of preventative maintenance. Well, we don’t want to fix things that ain’t broke. Item (3) – nothing worse that disassembling the IF chain – by all admiration for this unit, the 2nd IF chain is not build for troubleshooting. 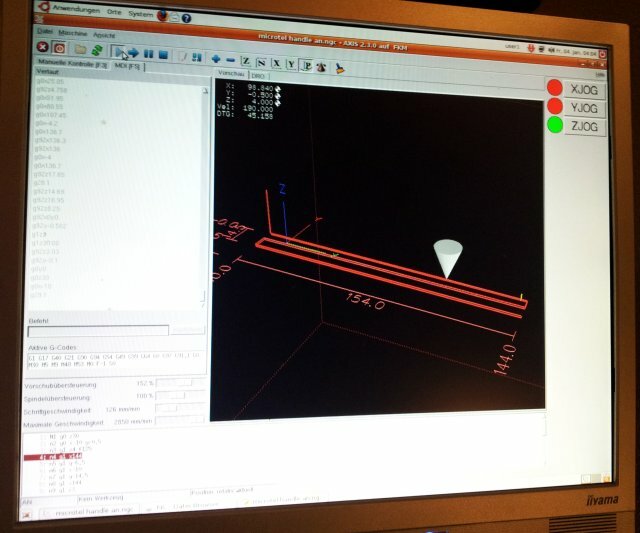 But, following the instructions, first a check of the control assembly. And, quite to my surprise – a defective transistor switch, using a 2N2905 PNP transistor that provides +15 V power to one of the 24.1 MHz amplifiers – this is switched on and off depending on the BAND setting. 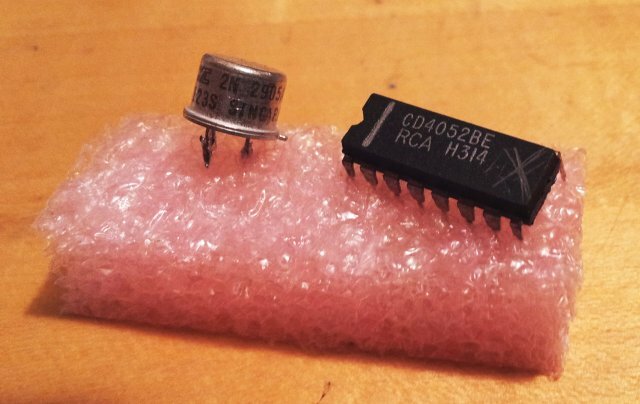 The transistor – only had a 2N2904 around, same kind, but a bit lower gain. Well, it works – need to check stock back home in Germany when I get a chance. Item (2) – this was “just” a matter of adjustment. Adjustment isn’t all that straightforward – and the manual doesn’t cover everything. 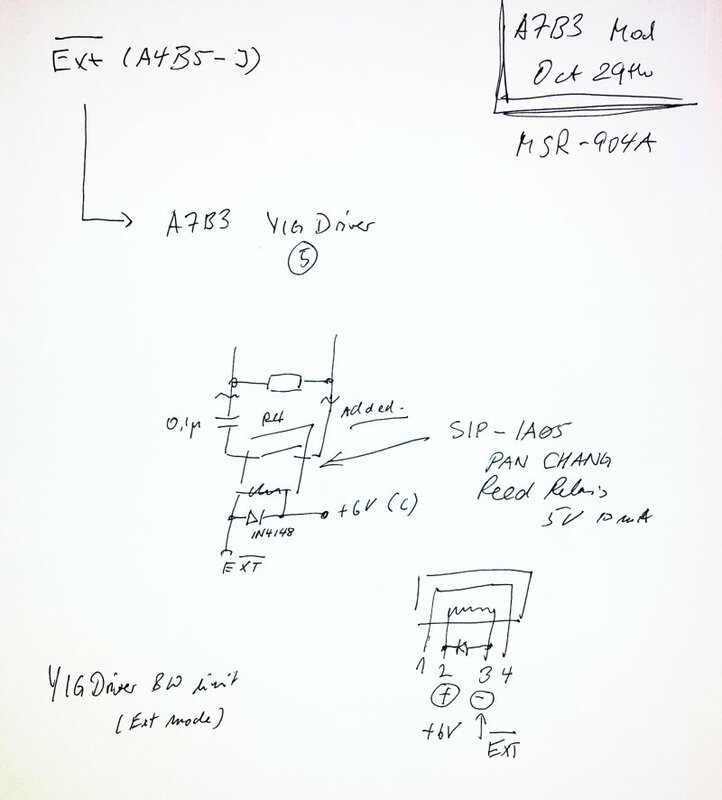 Needed to peak the 250 MHz amp/AM detector circuit – there is a tuned amplifier inside, which has and adjustment capacitor not described in the adjustment instructions – fortunately, pretty clear from the schematic. Routed a wire with the EXT signal (low when activated) to the YIG driver board. This is now taking the 100 n cap out of the circuit, unless the EXT mode is active. Added a protection diode, to avoid voltage spikes damaging the TTL circuit driving the reed relay. The 100 n cap and reed relay is installed parallel to the R4 resistor – same as for the C5 capacitor, which is activated in CW mode. 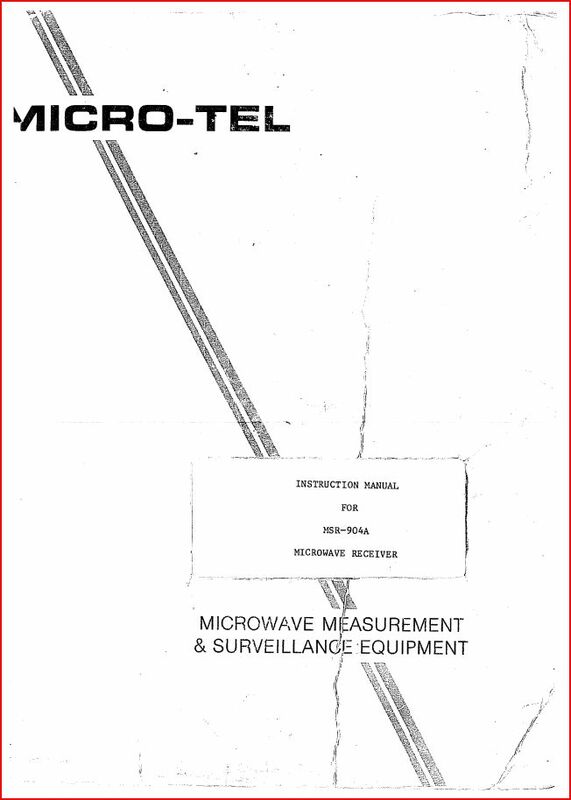 Micro-Tel MSR-904A Microwave Receiver: manual found! I had almost given up. It seemed that a full manual of a MSR-904A would be perfectly unobtainium. 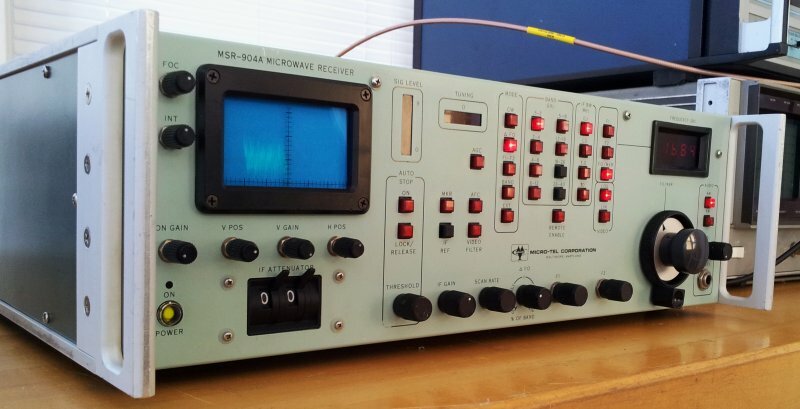 Well, most secrets of the MSR-904A were reverse engineered anyway, but there are some subtle details and adjustments – just a bit arbitrary to do without proper documentation and at a least a bit of insight into the thoughts of the designers of this marvelous apparatus. One reason might be that these units were long banned from export and mostly governmentally owned. Eventually, the units reached the secondary market, but the manuals, they rest in some archives, or have long been disposed off by the agencies. Now, to my greatest surprise – a copy of the manual has been located – in Germany. The paper copy, it seems to belong (or have belonged) to a certain H. S. in Webenheim, a place, a mere 72 miles form my German home. Another fellow German must have scanned this, and again, another fellow, send it to me, electronically. Albeit, not for free, but, fair enough. It is complete with all adjustments instructions, explanation of how it works, parts list, and SCHEMATICs. Here, a block diagram of the IF chain – without the 160 MHz 2nd IF output option (by conversion of the 250 MHz 1st IF using a 410 MHz LO) installed in the unit I have for repair. Screening through the manual, the complexity of the thing is pretty much amazing. 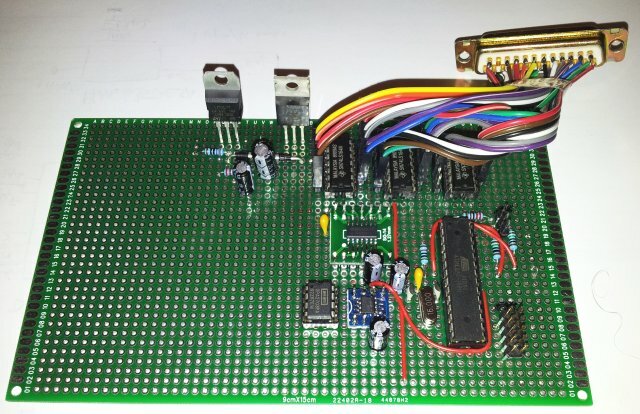 All without any controllers or processors – but there is at least one programmable part, a PROM that has the filter switching matrix. Come on, this could have been done with a diode matrix! 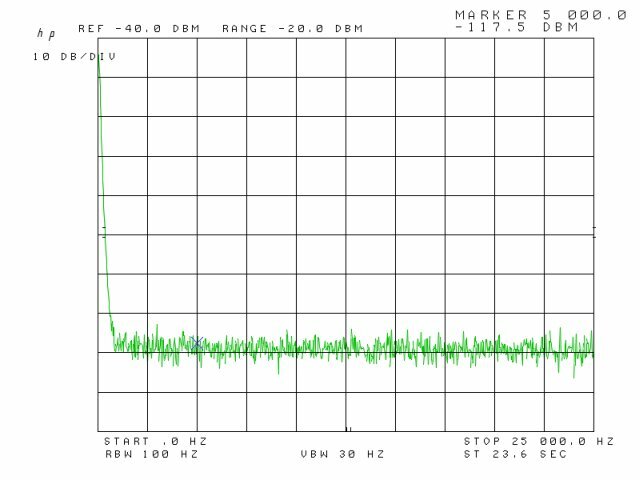 Like with most PLL build, there a quite a few things that can go wrong – the result: a lot of phase noise. For the current setup, all precautions had been taken to avoid bad surprises – low noise supplies, well-proven loop filter amplifier, low noise DAC, adequate cables. And, phase lock was quickly achieved (see last post). 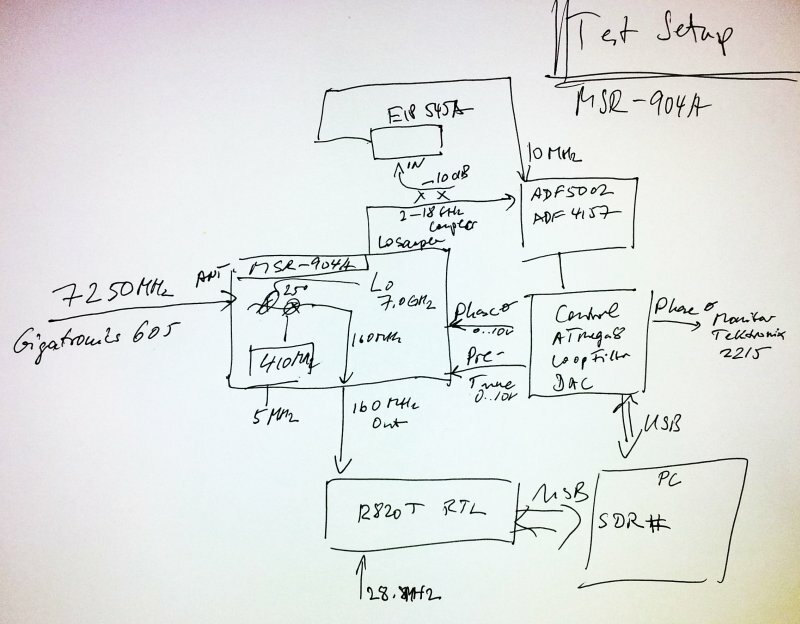 For more detailed analysis, both the 160 MHz and the 21.4 MHz IF signals of the MSR-904A are fed to analyzers. For the 160 MHz, to a RTL SDR stick, just for the rough picture, and the 21.4 MHz, to a 3585A analyzer. 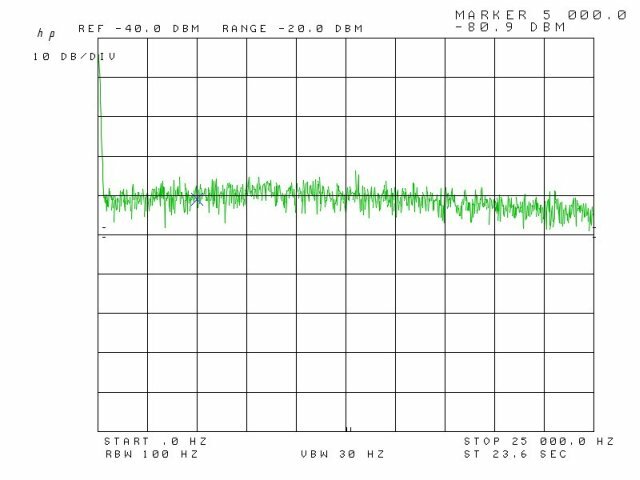 The 3585A has very low noise, ideally suited to look at phase noise, except if you are working the ultra low noise segment. 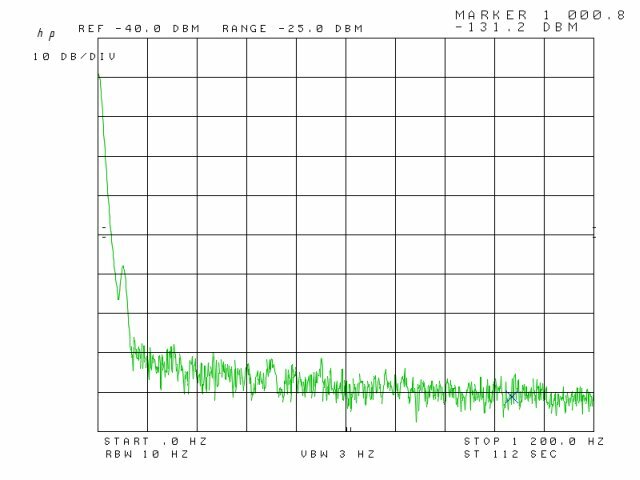 Initial finding – phase noise is down at about 60 dBc at >10 kHz offset, dropping off as expected, but the close-in noise is really bad. Close in noise often related to the phase detector, or the reference. Substituting the 10 MHz reference from the EIP545A by a really low noise HP 10 MHz OCXO didn’t change much. So to high noise level must be connected to phase detector. With the detector set to 1.25 MHz (:8 reference divider), there we can gain quite a few dB of noise supression, by increasing the detector frequency (within limits, doubling the detector frequency lowers the associated noise contribution by about 3 dB). And, even more, we can check out the reference doubler, which is a build-in feature of the ADF4157. With the doubler in use, it needs to be ensured that the duty cycle of the reference is close to 50%, but this is ensured by the OCXO anyway. The ADF4157 can handle phase detector frequencies of up to 32 MHz, no issue at all with 20 MHz. 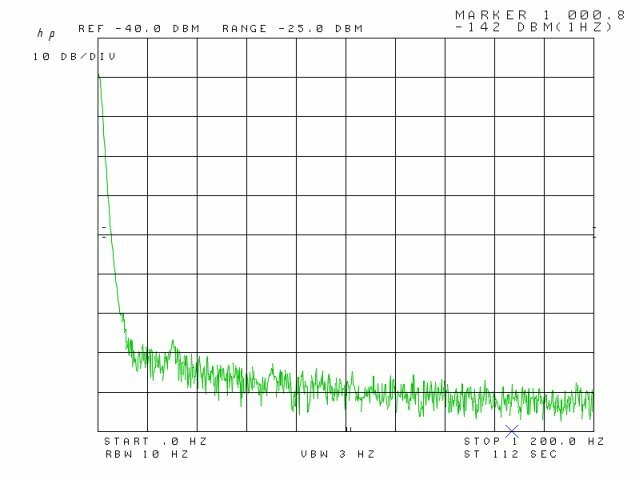 The only downside – more fractional-N spurs – channel spacing for integer only dividers is now 160 MHz, rather than 10 MHz…. Red and green traces – you can see, the PLL is completely detector noise saturated within the bandwidth. Other traces – all with a phase detector frequency of 20 MHz – and at different charge pump currents (CPC). A CPC of 15 corresponds to a 5 mA current. This has direct impact on the phase loop cut-off frequency. There is some peaking, at 2 kHz (dark blue trace, CPC 1), and at about 7 kHz, light blue trace, CPC 10. Comparing the yellow and magenta traces – these differ by the 10 MHz reference signal source only (yellow uses an HP 10811 OXCO, magenta uses the EIP 545A build-in reference which is pretty stable, but rather noisy). In the curent setup, both references yield very similar results – accordingly, the noise within the PLL bandwidth is dominated by the PLL cirucit itself, and the phase detector, not the reference source. There are some mains-related spurs at 60 and 180 Hz, but these might just be due to the temporary cabling and lack of a proper case. The circuit is fully exposed, tranformers closeby, etc. For the final setup, all cables will need to be as short as possible, especially for the pretune voltage (which is about 2 MHz per Volt – 2 kHz noise for 1 mV!). Credits go to KE5FX for the great PN.EXE phase noise measurement tool, invaluable for any such work! Some final parts added to the MSR-904A digital interface/PLL: the actual PLL circuit (frontend), an Analog Devices ADF4157 fractional-N PLL, together with an ADF5002 8:1 prescaler. The phase detector is set at 1.25 MHz, to allow 10 MHz integer-only steps. Some experimentation with other phase detector frequencies might follow later. Here – the schematic of the PLL frontend. The circit is wired point-to-point, sure enough, with VERY short wires, soldered using a microscoped – hope you have a steady hand. After a quick test (using the MUX output of the ADF4157), the wires and the very tiny ADF gadgets, all sealed with a few drops of epoxy. 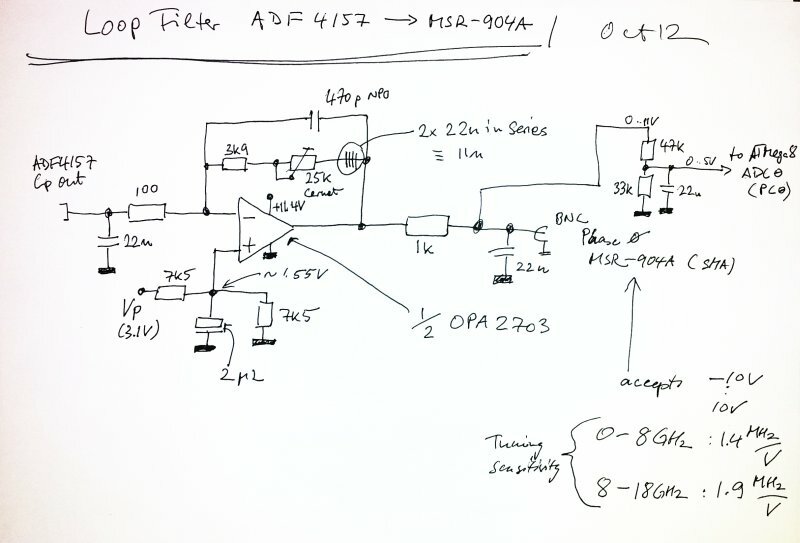 On the main board, the PLL loop filter. Build around the remaining half of the already installed OPA2703 (other half used for the DAC output buffer). 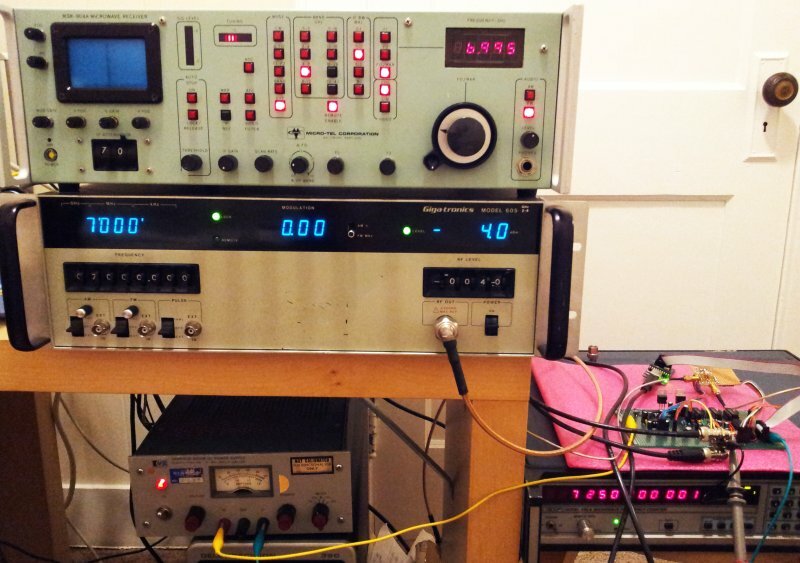 With all these parts now put together, to do some basic tests on the PLL – a Gigatronics 605 Microwave Synthesizer was connected to the MSR-904A input, and the LO sample output of the MSR-904A connected to PLL. 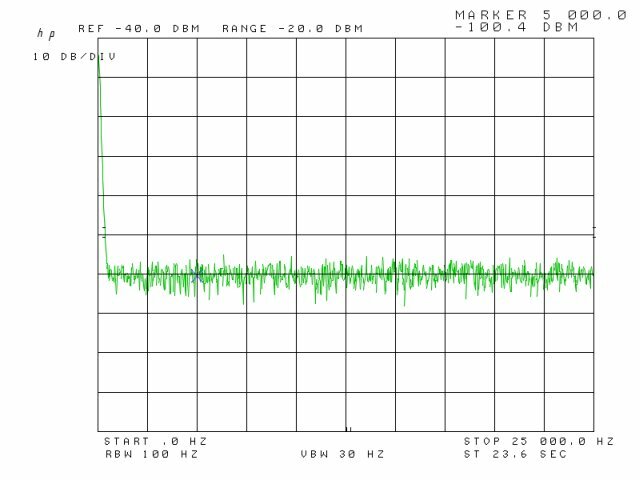 A sample of the “LO sample” taken by a broadband -10 dB coupler is used to monitor the frequency, using an EIP 545A. 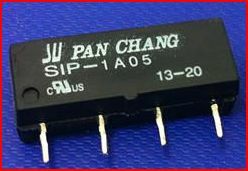 The 10 MHz reference output of the EIP is used as the ADF4157 reference. 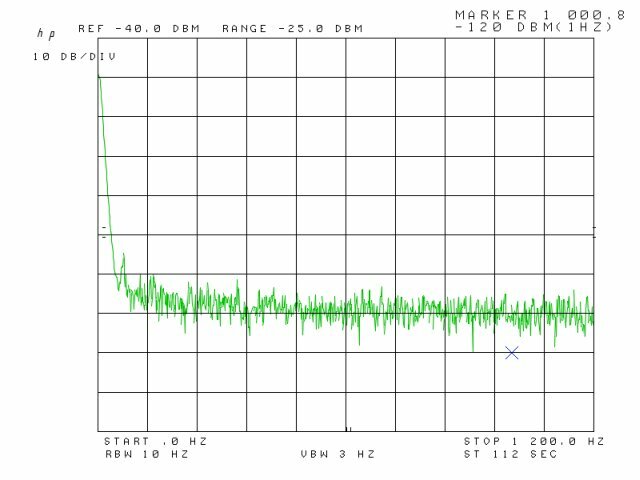 The MSR-904A down-converts the signal to a first 250 MHz IF (by fundamental LO), the 250 MHz IF is then mixed with 410 MHz (this can be locked to a 5 MHz signal – not locked at the moment, but the signal is very clean and stable anyway). 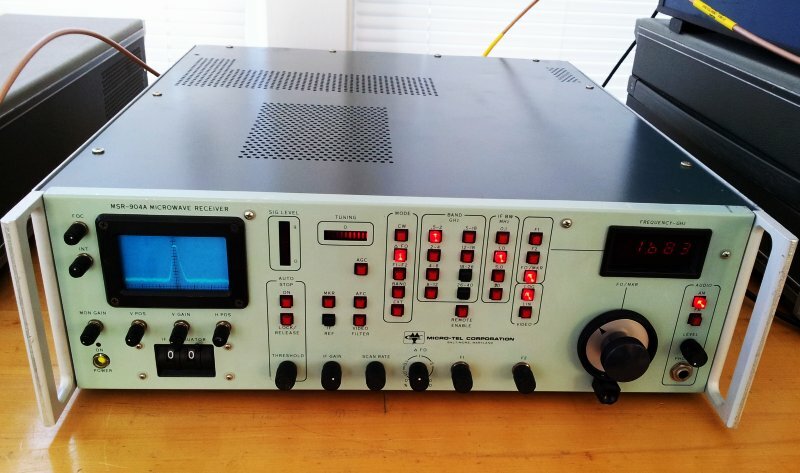 The 160 MHz 2nd IF is available at the rear panel, and connected to a R820T RTL SDR. 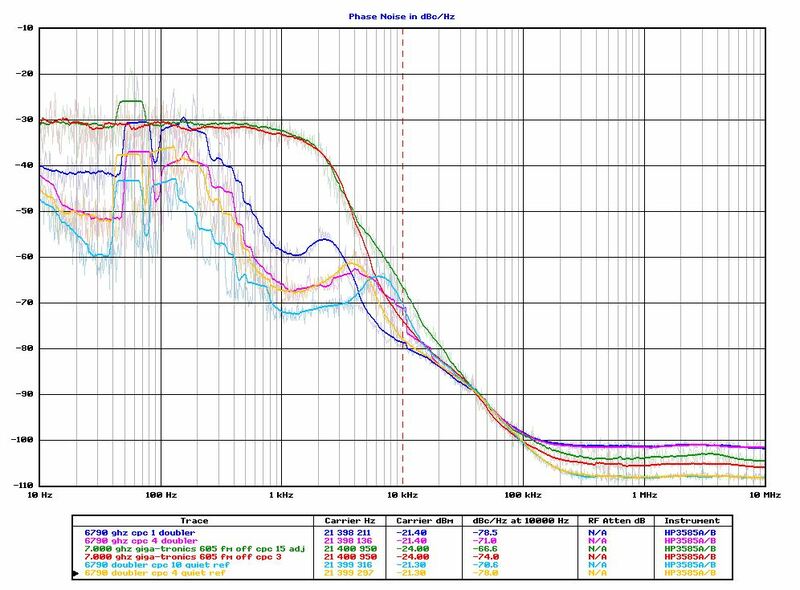 This is a very handy method to monitor noise, and do some basic adjustments on the PLL. 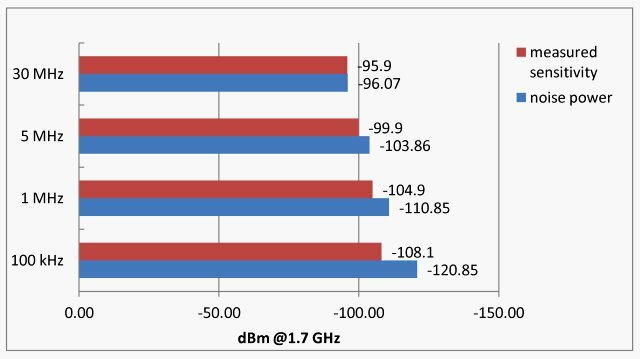 Using headphones – and the human ear as a phase noise meter… more quantitative analysis to follow. Here, the transition from manually controlled CW mode, to PLL controlled mode. 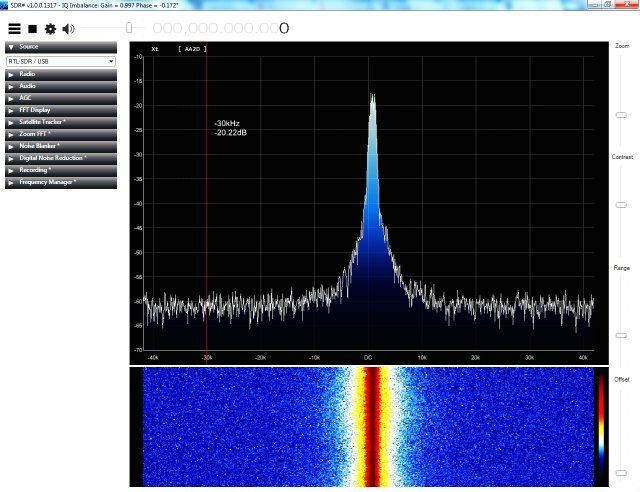 For these tests, the LO was locked at 7.25 GHz, receiving a signal at 7.0 GHz (SDR offset set to about 160 MHz). 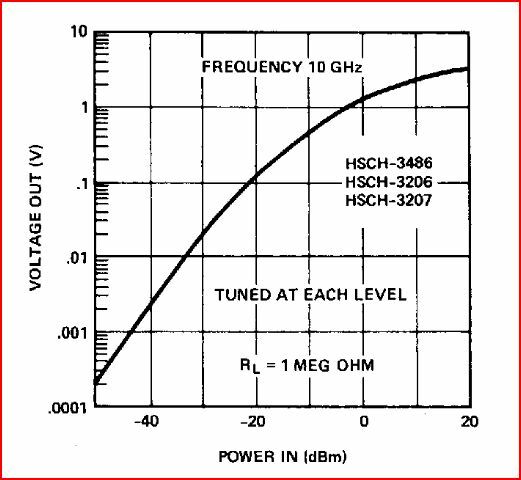 Note – same as for the Micro-Tel 1295, and the SG-811 – the YIG driver has a bandwidth limit (by a 100 uF Tantalum capacitor – and a 499 k resistor!) that is controlled by a reed relais on the YIG driver. This doesn’t allow low phase noise operation, even with the best PLL. Well, 100 uF is a bit too much. 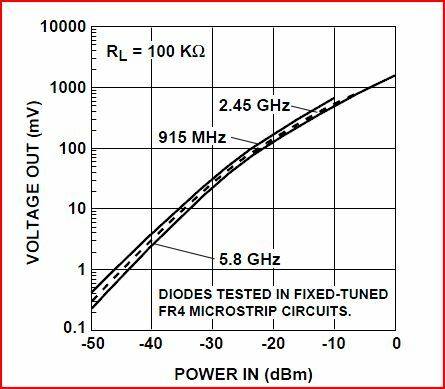 Therefore, a 100 n capacitor was added – this is enough to suppress most of the noise of the YIG driver stage, and still the circuit remains fast enough for full band sweeps at moderate scan rates. 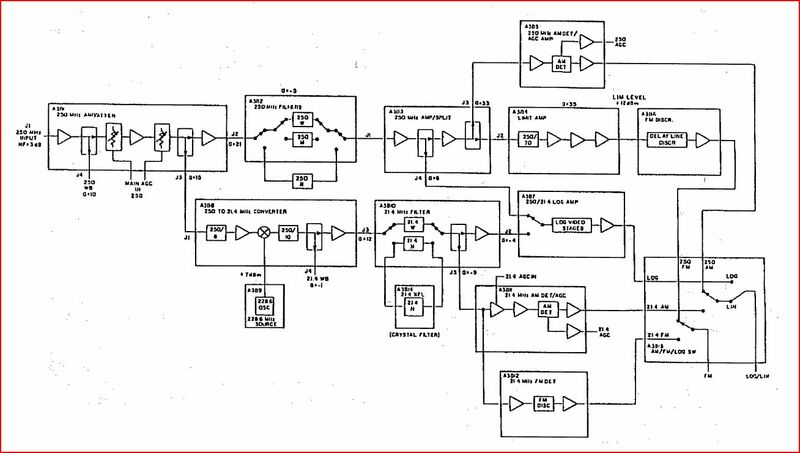 Might modify this later, by adding a bit of logic that adds the 100 n capacitor only when the external frequency control is active, but disconnects it during full band sweep, etc. Recently, some pretune DAC and microcontroller circuitry has been build, see earlier post. This is now basically functional, however, we need to confirm that is is really working as desired. Never trust any circuits just build – especially when it comes to “unpredictable” aspects like noise. 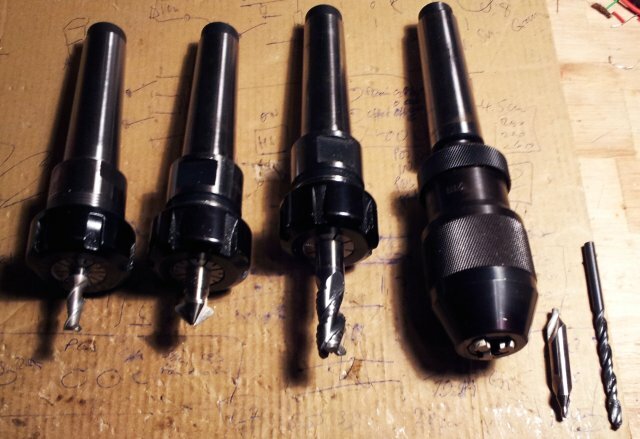 The parts used, they will most likely perform up to their specification, but there can be all kinds of hidden issues that will later on lead to lengthy troubleshooting of phase noise or spur issues. From experience, power supply related noise is one of the most severe and troublesome item, if not taken care of at an early stage of design, or prototype construction. 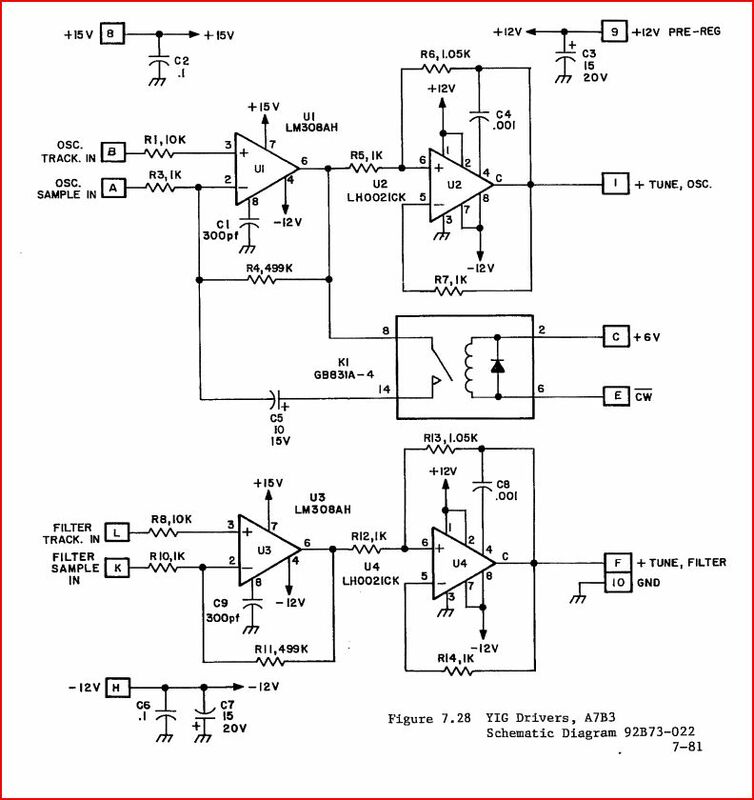 Many articles exist on how to characterize power supply noise, especially at very low levels. This is not really what we need here, because we are talking about a real-world circuit that will later work with a mains power supply, in a reasonably well shielded case. So, our standard will be the lowest noise analyzer I have around here, an HPAK (HP Agilent, now: Keysight) 3585A Spectrum analyzer. 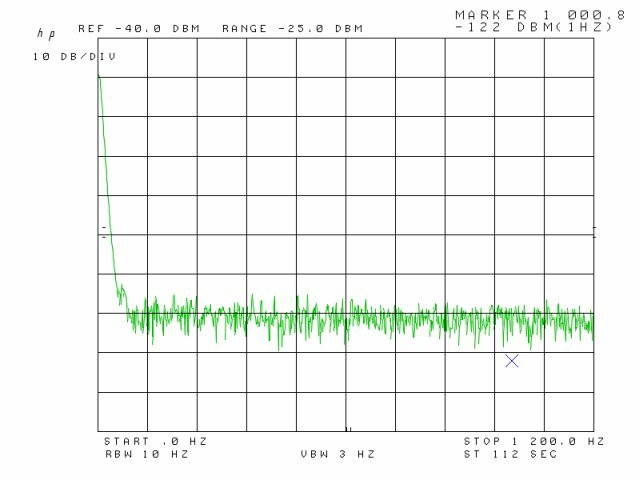 This has pretty low noise anyway, down to -137 dBm for a 3 Hz bandwidth. The only downside of the 3585A, it is about 80 pounds – you will need a sturdy bench and a strong assistant to lift it. As a side note: The instrument on my bench, it has an interesting sticker, formerly owned by ST (STMicroelectronics, formerly known as SGS-Thomson as printed on the cal label). ST does a pretty massive amount of R&D in the field of semiconductors, and has a long-standing history of inventions. Well, fair enough, I got this instrument in bad shape, seems to have passed through many hands since ST time, but it is now fully repaired and calibrated, providing great service. Step (1) – analysis of the circuits already build. 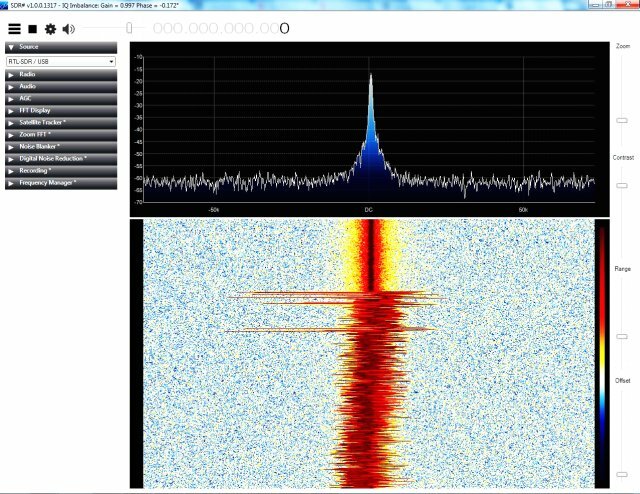 Just some 0-25 kHz spectra. Noise floor, probe grounded at AGND. – well, much worse than expected! More than 30 dB above the noise level!! Well, after scratching my head for a while – and doing some measurements around the not-too-complicated 317 circuit, one 22 uF cap was added, to the adjustment input. 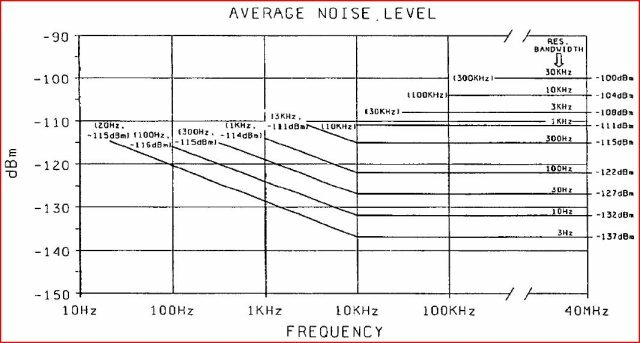 Ideally, for best frequency response, use a low ESR cap, with wide response, like a tantalum or multilayer ceramic. I could not be bothered, just used a plain electrolytic. A 20 dB improvement, fair enough! The PLL (an ADF4157 fractional-N synthesizer with ADF5002 prescaler) requires a +3.1 V power supply (2.7 to 3.3 V for the ADF4157, 3.0 to 3.6 for the ADF5002 – so I decided on 3.1 V for both devices). Also, we need a charge pump supply, for the ADF4157. This can be up to 5.5 V, but for simplicity of design, and to follow earlier (rather commercial) designs I did fully using 3.3 V technology, another independent supply is required, for 3.1 V.
These supplies need to very low noise, supply line noise will end up at the charge pump output, increasing phase noise. 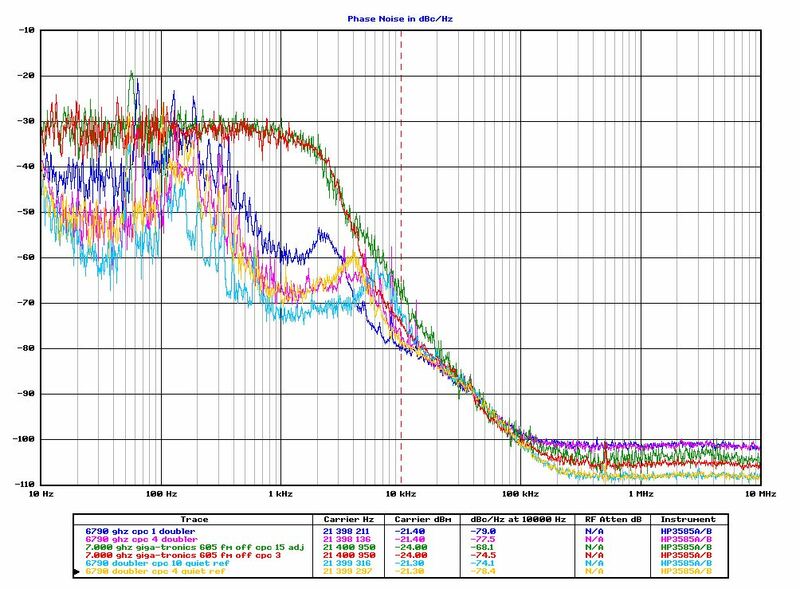 Glitches on the PLL supply lines can cause all kinds of issues, even the reliability of the circuit might be compromised (miscounting of the prescaler, etc.). 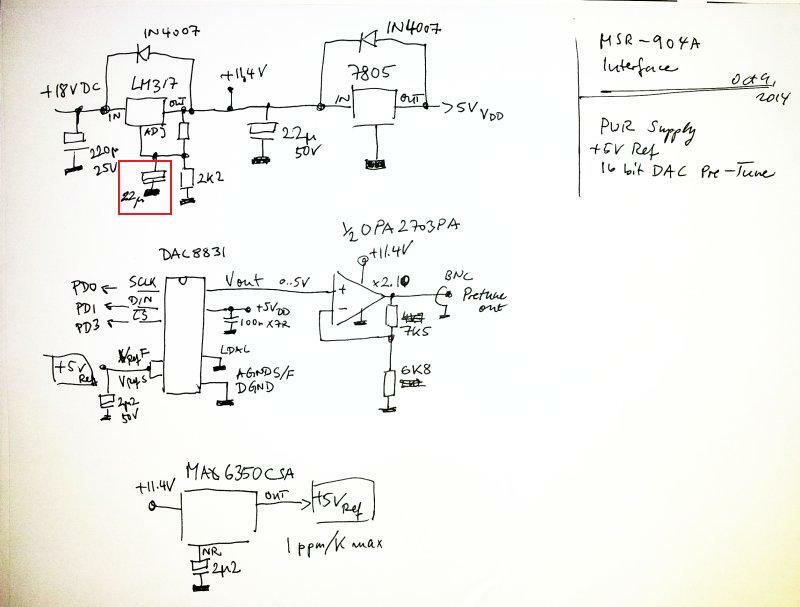 Quite a few more recent parts exist to provide about 3 V regulated output (see TI, Analog, LT), but these devices are non too widespread, and not much better, if not even worse than a trusty old part: the LM723 (aka µA723) regulator. This has a low noise reference build in, and should provide much better performance than any 3-pin regulator. 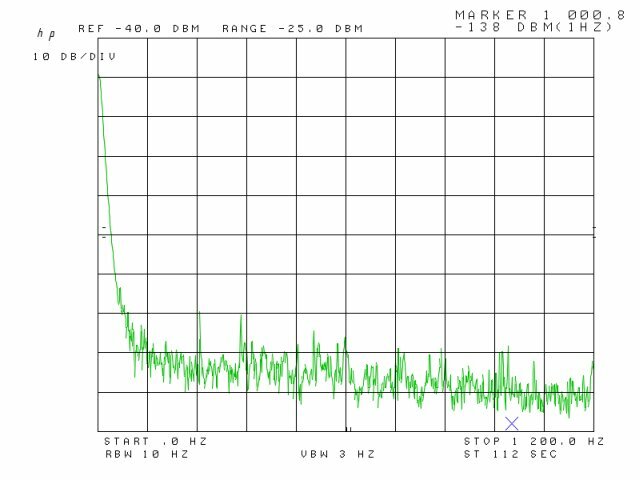 And here, we have the results – all tests now using 1.2 KHz stop frequency (not much going on at higher frequencies), 10 Hz resolution bandwidth, 3 Hz video bandwidth, and, using the noise measurement function of the 3585A – this directly measures and calculates the noise level, at a given frequency, for a 1 Hz bandwidth. Very handy for conversion to nV/sqrt-Hz (nV divided by square-root Hertz is a common way of expressing power supply noise). A converter worksheet, to relate the dBm numbers, to nV/sqrt-Hz (calculation also has provisions to convert from other bandwidth – not considering a few extra dB to account for the averaging nature of the detector, etc. – we rely on the 1 Hz normalized value of the 3585A anyway, just in case you need to convert from other BW, please keep dectector response related offset correction, if the task requires such levels of accuracy). -141 dBm – about 20 nV/sqrt-Hz (Vp supply) – very close to noise floor of the setup, the LM723 still seems good enough! Note: there are some litte contributions at 60 Hz/180 Hz from mains. These are due to the test setup/signals picked-up by the test cables – don’t seem to originate from the circuit itself. Not a very exciting circuit today, but definitely, a very important one: the pretune DAC for the MSR-904A. 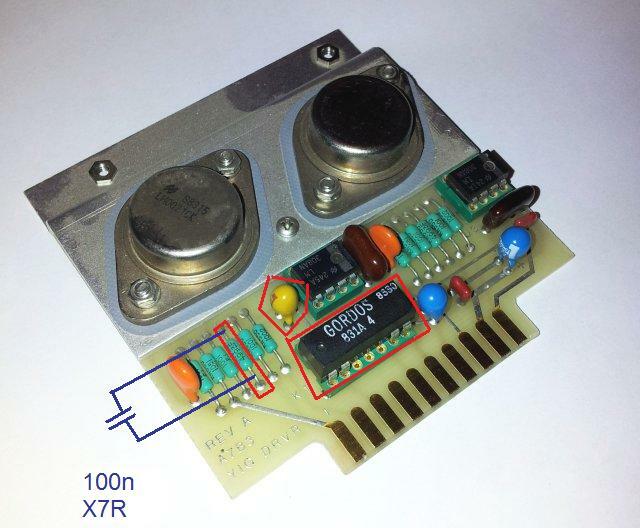 This DAC will drive the 0..10 V input of the MSR-904A, to set the frequency for a given band. 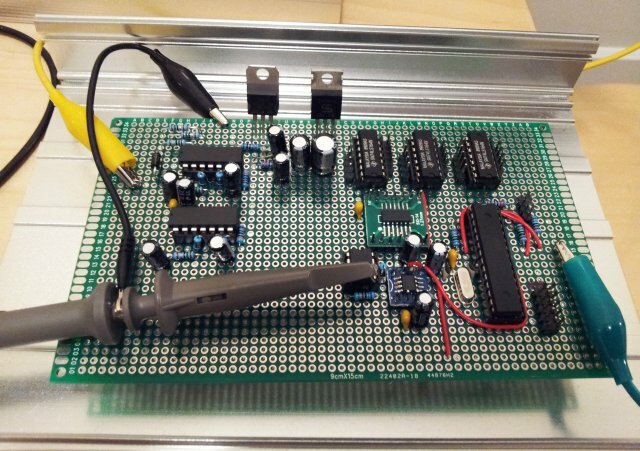 The frequency needs to be set to about 1 MHz or better, and the DAC needs to be virtually free of noise – any noise will be converted to phase noise, and cause a lot of hazzle for the PLL circuit to be added later. 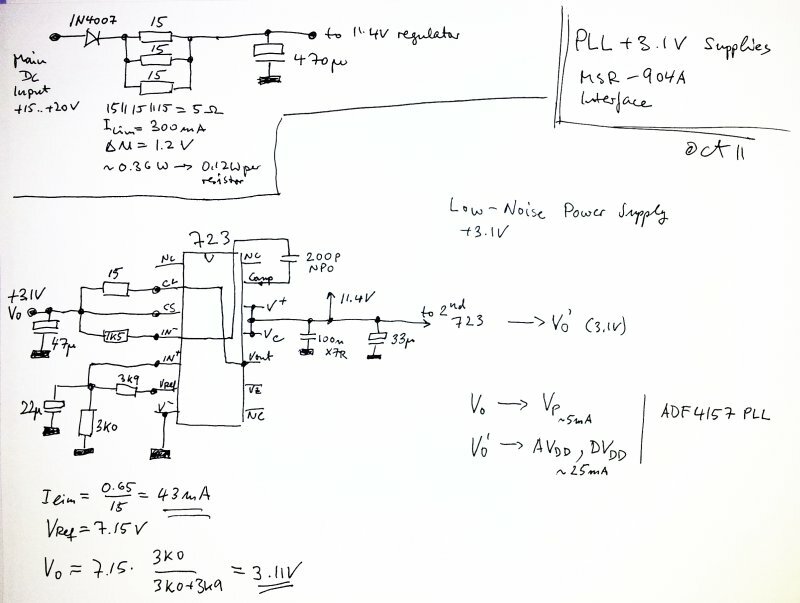 Rather than a dual supply, the intention is to use a single +18 V supply for the whole remote control circuit. Therefore, we need a few linear regulators, to derive the +5 V for the digital circuits, including the ATmega8-16, and a positive voltage of about 12 V, for the analog circuit. The output driver for the pretune (0..10 V) uses an OPA2703 rail-to-rail opamp. 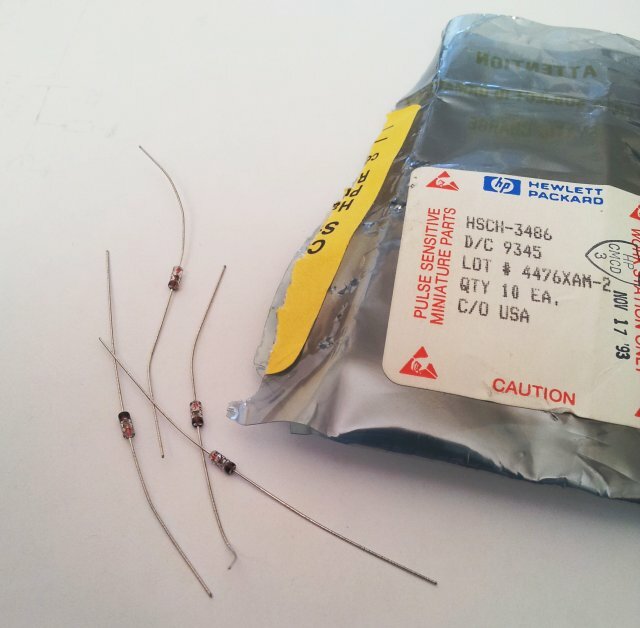 So, I decided on a 11.4 V positive supply, for convenience of resistor values available – 270 Ohm, and 2k2, for a LM317 regulator. The DAC, a Texas instrument DAC8831. 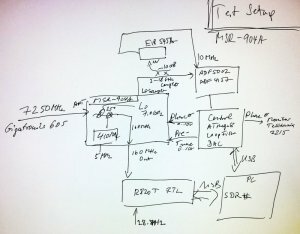 A highly linear device – 1 LSB of INL error. Low noise, low power. The DAC is connected to a +5 V precision reference, a MAX6350. This is a pretty stable and low noise reference, very much recommended for 16 bit converters. 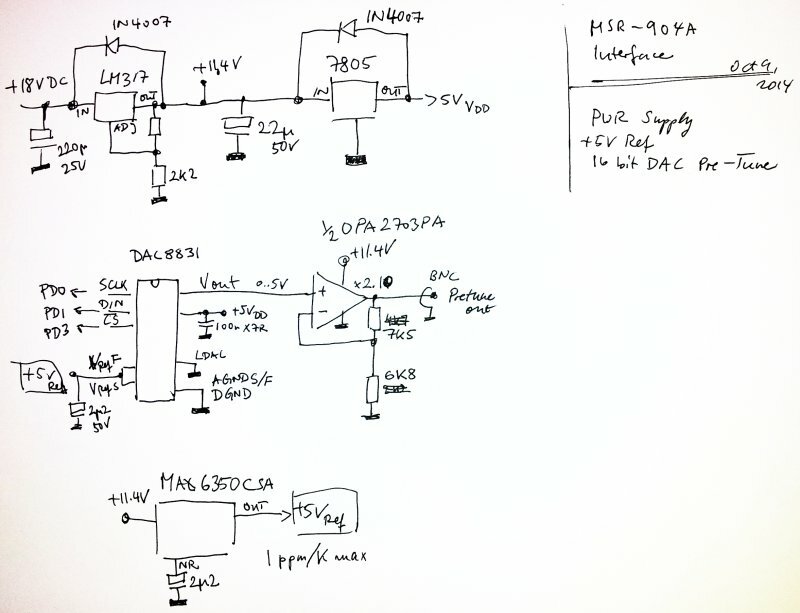 There is some space left on the board – for an ADC (to monitor signal strength), and for the PLL power supply (needs 3x 3 V, UA723 – for low noise), and a 10 MHz/5 MHz distribution circuit.